Canaryville Lions Youth Football team is raffling off a Hitachi 50″ LED 4K UHD TV to raise funds for uniforms and equipment. We are constantly upgrading our equipment and uniforms including this year’s purchase of rib protectors and silver jerseys for our home games. 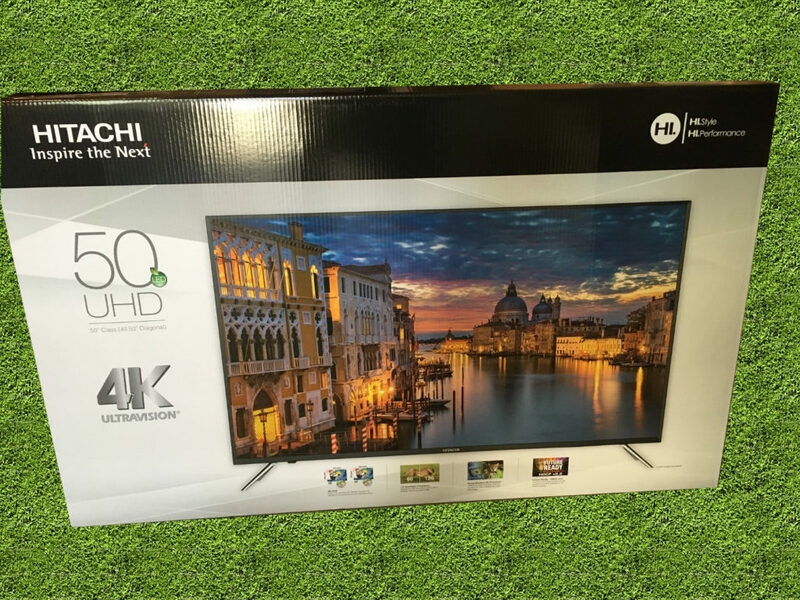 Show your support for our local youth sports program and buy a chance to win this Hitachi UHD 50″ LED TV. Drawing will take place immediately after our Annual Awards Banquet on November 18th, 2018*. Winner need not be present to win. Tickets available through Coach Adam Campbell, Kelly’s Tavern, and Lions football players. Our thanks to Bill Babuskow, owner of Kelly’s Tavern, for donating this Hitachi 50″ UHD TV. Thank you very much; your support is greatly appreciated! *Price of raffle ticket does NOT include entry to banquet.